OAI is a prime contractor on key Indefinite Quantity Indefinite Delivery (IDIQ), multiple award task order contract (MATOC) and Blanket Purchase Agreements (BPAs). Highlights below. NOAA Fisheries West Coast Region, Southwest Center - Provide scientific, technical, and analytical support in the disciplines of physical and biological sciences in support of fishery management, resource protection, and habitat conservation. NOAA Fisheries Western Regional Offices - Multiple Award Task Order Contract (MATOC) Scientific support services including technical and analytical support in the disciplines of physical and biological sciences (e.g., mathematics, statistics, engineering, computer sciences, physiology, molecular biology, genetics, systematics, oceanography, fishery biology, and ecology). NOAA Fisheries Northwest Science Center Fish Ecology Division - Provide scientific support with emphasis on improving survivability of migratory Pacific salmon, including environmental and biological data collection at various study locations, physical, biological and biochemical analysis, fabrication, installation, operation, maintenance, and repair of research equipment and research vessels. NOAA Fisheries Greater Atlantic Regional Office – Office of Law Enforcement Provide infrastructure, IT programming, database management, website management, Public Affairs support, organizational support services. NOAA Fisheries HQ - Office of International Affairs Search and collect applicable bycatch and shark catch data from regional fishery management organizations and public data sources. Conduct comparability analyses of foreign nations’ bycatch and shark conservation management regulations; compare with applicable U.S. fishery bycatch and shark conservation and management regulations. NOAA Fisheries HQ - Office of International Affairs Draft and edit the 2019 Moratorium Protection Act Biennial Report to Congress. Support the development of compliance tools in support of MMPA, including assistance in regulatory, conservation and management templates, collection and development reference materials and a website framework. NOAA Fisheries HQ - Office of Protected Resources Provide environmental support, scientific, GIS, communications, performance management, and resource management services with emphasis on protection and conservation of marine mammals, sea turtles, and other endangered/threatened species under the ESA and MMPA. 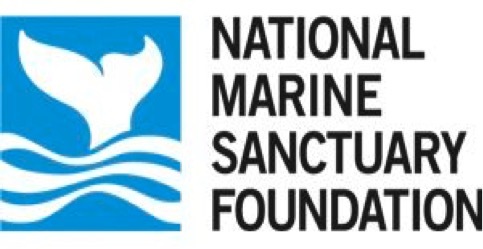 National Marine Sanctuary Foundation - Provide the Secretariat for the Inter-American Convention for the Protection and Conservation of Sea Turtles--since 2009.